Should we be concerned? White House press secretary Sean Spicer wore his flag pin upside-down during a press conference on Friday, March 10, and Twitter had a field day. Spicer, 45, was about to take questions from the gathered reporters when Fox News’ John Roberts pointed out the press secretary’s faux pas. 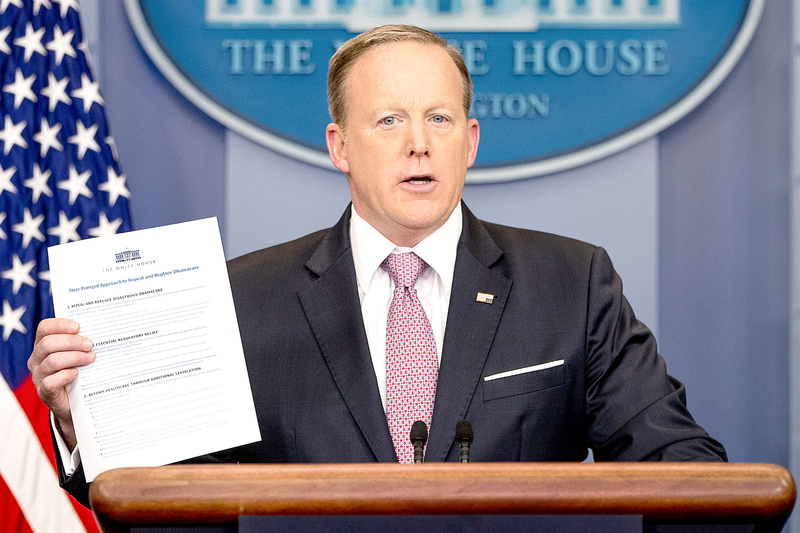 “And with that, I’d be glad to take your questions,” Spicer said before he called on Roberts. “I was gonna say, your pin’s upside down,” Roberts said helpfully. 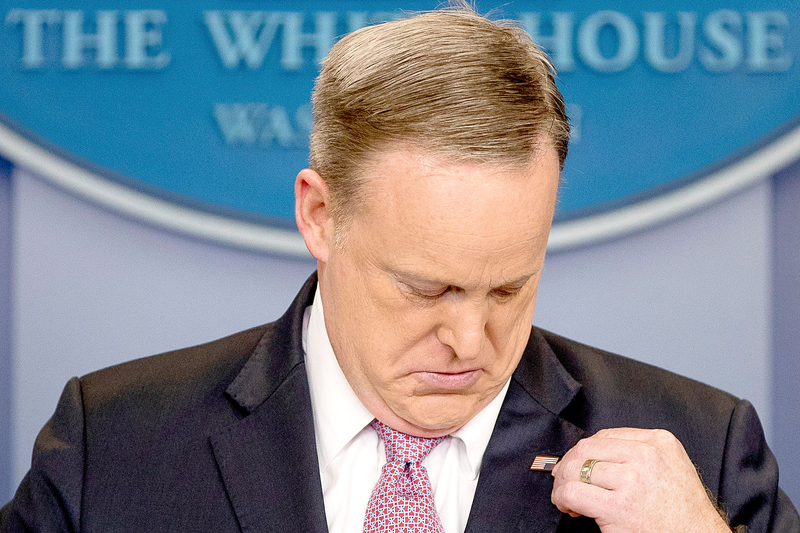 Spicer, clearly flustered, grinned and attempted to fix the pin. “John Roberts, always helping me with the fashion tips,” he said as he fidgeted with the metal pin. On Twitter, users quickly caught wind of the awkward moment and responded with a flurry of witty commentary.